Cubital tunnel syndrome can cause an aching pain on the inside of the elbow. Most of the symptoms, however, occur in your hand. Sleeping with your elbow bent can aggravate symptoms. Numbness and tingling in the ring finger and little finger are common symptoms of ulnar nerve entrapment. As the ulnar nerve runs the entire length of the arm, there are several places along the nerve that can become compressed or irritated. This compression or irritation is known as ulnar nerve entrapment. Ulnar nerve entrapment is the second most common entrapment nerve pain in the upper body. Ulnar nerve entrapment happens most often at or near the elbow, particularly on the inner part of the elbow. This is known as cubital tunnel syndrome. Ulnar nerve entrapment can also happen less frequently at or near the wrist. 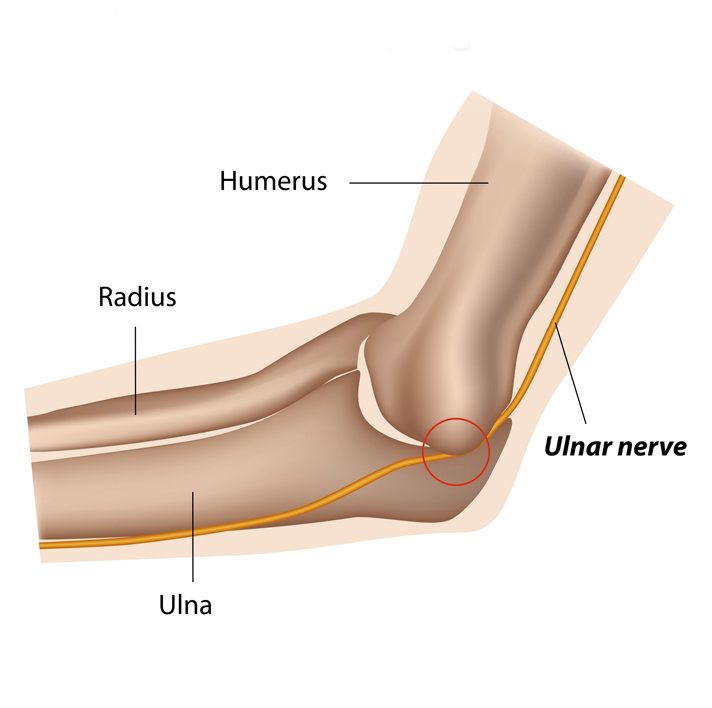 While these two areas are the most common sites of ulnar nerve entrapment, it can also happen anywhere between the wrist and elbow in the forearm or between the elbow and shoulder in the upper arm.